Israeli Attorney General Aluf Avichai Mandelblit on 7 February ordered election candidates to quit using images of servicemen in their pre-election campaigns, after a complaint against Prime Minister Benjamin Netanyahu's party, according to The Times of Israel. "It is forbidden during the 90 days ahead of the elections to use the army for propaganda purposes, notably pictures of soldiers with the prime minister", he said in a justice ministry statement. The attorney general's opinion refers to all election candidates but affects Netanyahu's campaign materials most significantly, according to The Times of Israel. The statement comes after a complaint about numerous photos of Netanyahu posing with IDF troops. Israeli Prime Minister Benjamin Netanyahu remains the favourite to win the April vote. 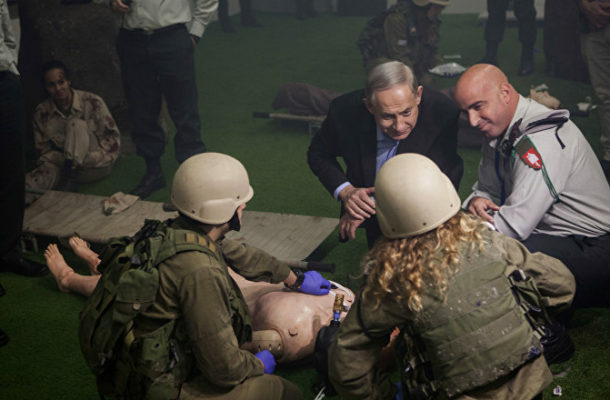 The Likud-National Liberal Movement, Netanyahu's party has reportedly defended the right to use photos of the IDF with the PM and Acting Defence Minister, noting that it only issues "newsworthy and informative" footage. The minister has not yet commented on the matter.